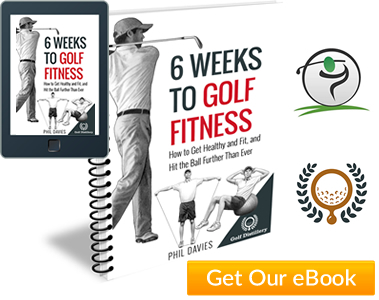 Where and how you choose to place your focus on the golf course can have a measurable effect on the way you play and, ultimately, the score you shoot. Your focus in general, over the course of 18 holes. 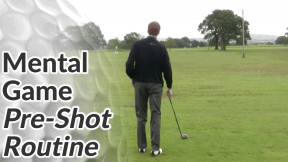 Your focus leading up to each shot and as you run through your pre-shot routine. Your specific focus over the ball as you make each swing (i.e. your swing thoughts). 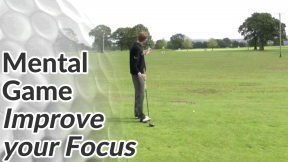 In this article we’ll look at the first two of those elements of golf focus. Be honest. Do you regularly play a round of golf as though it was two games of 9 holes? You have a great front 9, add up your score on the 10th tee, realise how well you’ve played only to fall apart hole-by-hole on the back 9. We’ve all heard of “staying in the moment” and “focusing on the now”. In golf, that means completely forgetting about previous holes and shots (good or bad) and eliminating any thoughts of holes and potential scores to come. You literally focus on one hole, one shot even, at a time. Experiment with dividing your round up into 3-hole chunks. You play the first 3 holes of the course and class that as a game. On the first tee, you set a target score for those 3 holes (your target can be a total such as 20 shots, or something relative to par, like 2 over). When you reach the 4th tee, it’s a new 3-hole game and a new challenge. Whatever happened during the first mini round (holes 1-3) is gone. This is a new game! Repeat the process on the 7th, 10th, 13th and 16th tees. In effect, you’ll play 6 mini games during a round. It’s even worth while dividing your scorecard into 6 sections as a visual reinforcement. 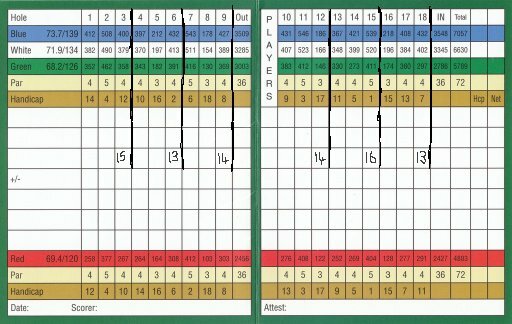 Why not pencil in each 3-hole target score before you start? 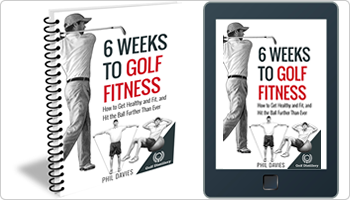 Most amateur golfers have heard of, and probably employ, some kind of pre-shot routine. But for many, it starts and finshes with a couple of practice swings. How is my ball lying – is it on a slope or sitting down in a heavy lie and will I need to adjust my set up or club selection? Are there any overhanging trees or obstructions that will affect the shot shape or impede my swing? 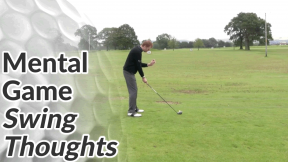 What’s my best target – is it the pin, the centre of the green or the left side of the fairway? Remember not to fall for those sucker pin positions! What distance do I have to my best target and what club do I need? Is there any wind that will affect my club selection or set up? What does the shape of the shot look like (this is a good time to quickly visualise the shot in your mind’s eye). With a bit or rehearsal, these questions and thought processes will become second nature and will take only a few seconds. You can then go into a your routine of lining yourself up, making a good practice swing or two and hitting a great shot. See this video for my own pre-swing routine. When you’re walking between shots, chat to your playing partners or think about something other than golf to give yourself a mental break. You can ‘switch on’ as you approach your ball.